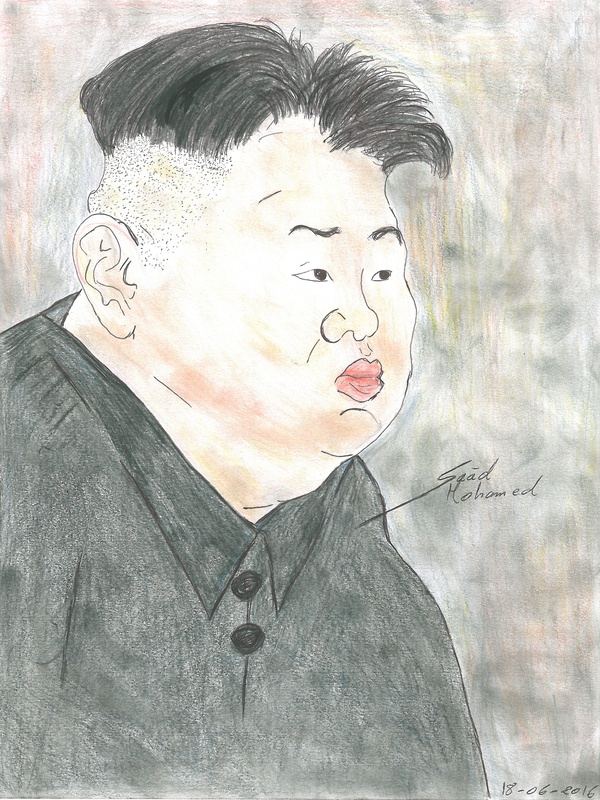 Kim Jong-un (born between 8 January 1982 and 8 January 1984) is the supreme leader of North Korea since 2011. The Chairman of the Workers' Party of Korea (WPK), he is the second child of Kim Jong-il (1941–2011) and Ko Yong-hui. He is the first North Korean leader to have been born after the country's founding. Before taking power, Kim was rarely seen in public, and many of the activities of Kim and his government remain unknown. Even details such as what year he was born, and whether he did indeed attend a Western school under a pseudonym, are difficult to confirm. Kim succeeded his father and supreme leader of the DPRK, Kim Jong-il, following the elder Kim's death in 2011. Kim holds the titles of Chairman of the Workers' Party of Korea (as First Secretary between 2012 and 2016), Chairman of the Central Military Commission, Chairman of the State Affairs Commission, Supreme Commander of the Korean People's Army, and member of the Presidium of the Politburo of the Workers' Party of Korea, the highest decision-making body in North Korea. Kim was promoted to the rank of Marshal of North Korea in the Korean People's Army on 18 July 2012, consolidating his position as the Supreme Commander of the Armed Forces and is often referred to as Marshal Kim Jong-un or "the Marshal" by state media. Kim obtained two degrees, one in physics at Kim Il-sung University, and another as an Army officer at the Kim Il-sung Military University. On 12 December 2013, official North Korean news outlets released reports that due to alleged "treachery," he had ordered the execution of his uncle Jang Song-thaek. On 9 March 2014, Kim Jong-un was elected unopposed to the Supreme People's Assembly. Kim Jong-un is widely believed to have ordered the assassination of his half-brother, Kim Jong-nam in Malaysia in February 2017.